Rehidrat Sport Hydration Powder Naartjie is rich in essential electrolytes to replace energy lost during exercise. 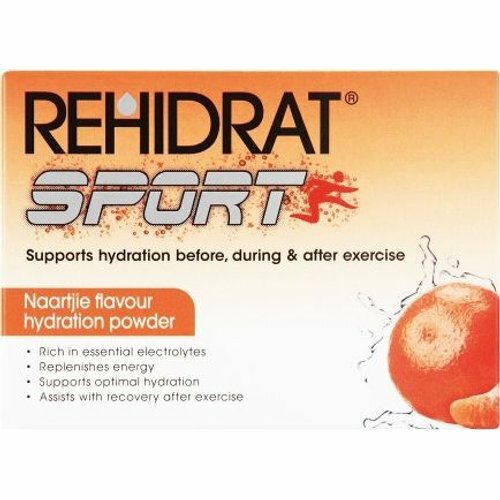 Supports optimal hydration and speeds up recovery after a workout. No artificial sweeteners. colourants or preservatives.